Last weekend we welcomed the return of the ‘Notorious’ and her crew to Queensland. This hand built ship is both labour of love and home to Captain Graeme Wylie and his wife Felicite. They had been invited here for the Gold Coast International Marine Expo. 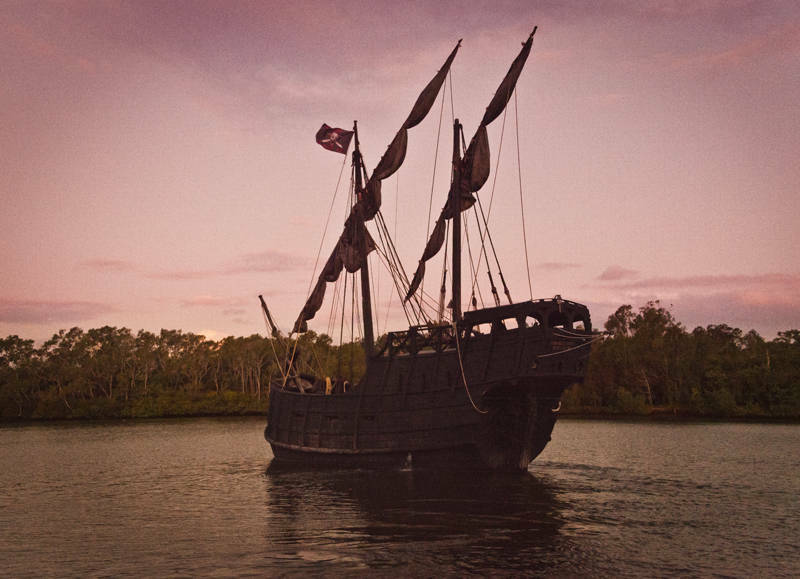 Their arrival caused a big stir as Southport is currently surrounded with active film sets for the new “Pirates of the Caribbean” film, “Dead Men Tell No Tales.” I was keen to get a shot of her out on the water, so we found an empty cruiser to steal aboard until the Expo finished. We emerged at sunset to help the pirate ship cast off, and watched as she gracefully drifted away into the night.